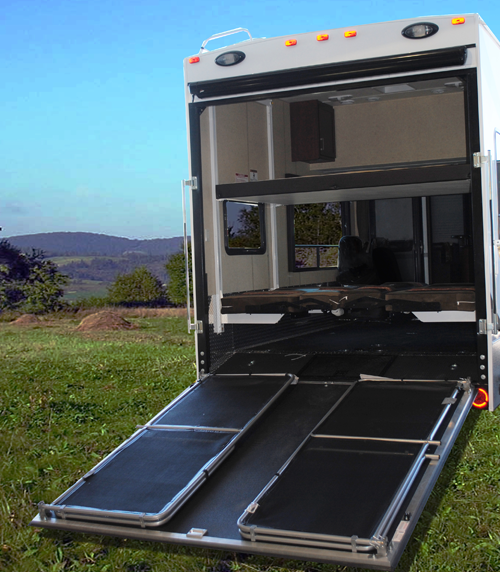 HappiJac Power Bed Lifts literally go where no slide has gone before. 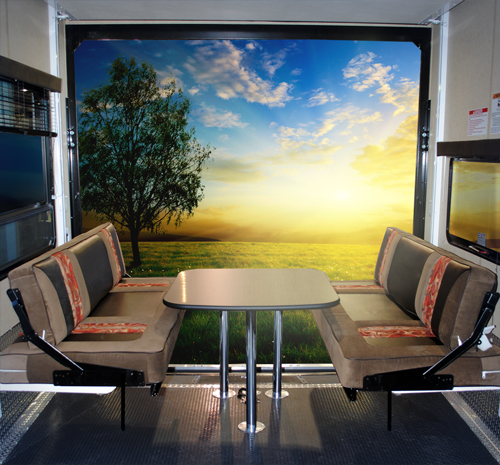 As traditional slide-outs extend horizontally, this innovative product leverages vertical space to maximize the space and versatility of fifth-wheel RVs and toy haulers. It features quick timing adjustment and pre-assembled frame units. A powerful direct drive motor and patented self-contained track provide stability at any height at the flip of a switch. The HappiJac Power Bed Lift can easily be operated by one person. 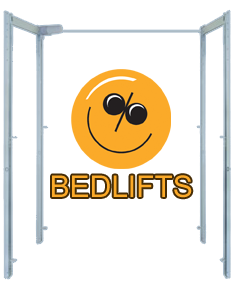 Simply activate the switch to raise or lower the bed to any desired height. That’s it! There are no pins or components to manipulate, lock into place, set up or store. The HappiJac Power Bed Lift effectively maximizes existing vertical space, providing room for additional storage or sleeping/sitting area. HappiJac’s Power Bed Lift supports up to two queen size beds in an innovative, patented double bunk bed configuration. Beds can be raised out of the way to make room for ATVs or other equipment and lowered again when needed. HappiJac’s Power Lift can accommodate one reversible sofa or a sofa-single bunk combination. A quiet heavy-duty motor and tightly integrated lift mechanism provide secure support at any height. Users can easily set the bed to a height that suits them best and will not need to climb, crouch or stoop getting out of bed in the morning. Looking for replacement parts? Buy them now at the LCI webstore!